The great Jeffrey Quarry in Asbestos, Canada is now closed, so we don't expect to get any more fine material from there in the future. 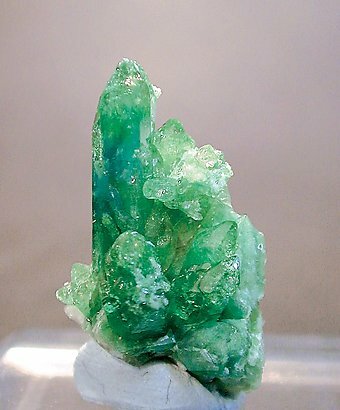 In the last few days of its glorious history the Jeffrey Mine nevertheless gave us one small pocket with extremely intensely green Chromium rich Vesuvianite: this elongated crystal with a nice termination at the top, comes from this pocket. The great Jeffrey Quarry in Asbestos, Canada is now closed, so we don't expect to get any more fine material from there in the future. 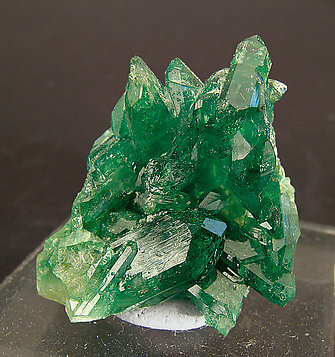 In the last few days of its glorious history the Jeffrey Mine nevertheless gave us one small pocket with extremely intensely green Chromium rich Vesuvianite: this specimen on matrix with sharp crystals comes from this pocket. 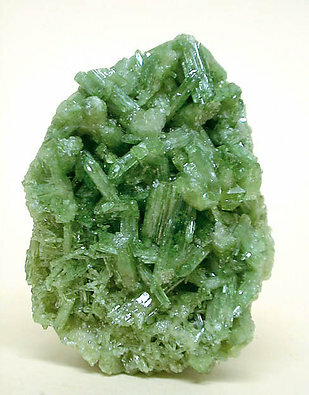 The best green color for Jeffrey's Vesuvianite. Deep and dramatic, just a few specimens came with this quality color.